After more than 15 years in an industry, you get familiar with the common pitfalls of a big project. Commercial office fit-outs are no exception. It’s not easy managing so many moving parts, knowing all your colleagues are depending on you. With that in mind, we wanted to share some of the most common office fit-out mistakes we’ve seen, along with tips on how to avoid them. Most small businesses can get away with a simple DIY job. But a complete commercial office re-fit can get out of hand quickly, even in medium-sized premises. Presenting a professional, comfortable and consistently on-brand environment gets harder with every workstation, meeting room, waiting area and breakout space, especially if you can’t devote your entire working week to the project. When a fit-out looks bigger than a couple of bookshelves and chairs, consider getting outside help. Commercial fit-out specialists will understand the potential budget, project management and implementation issues that await, and be well-equipped to deal with them before they become a problem for your business. Vital for any business is ensuring the safety of its employees, its clients and customers, and any fellow occupants in neighbouring premises. Just a few careless decisions during an office re-fit can create hazardous environments during the build process and long after the project is complete. Imagine desks and equipment placed poorly around the office, obstructing evacuation procedures during an emergency. Or inadequate lighting and acoustic dampening, imposing long-term physical and mental health impacts on your employees. Fortunately, a quick Google search turns up a wealth of information on creating safe and healthy office spaces, with new findings and better practices constantly emerging every few years. We recommend learning as much as you can before embarking on your commercial re-fit, and when in doubt, draw on the expertise of professional contractors and build managers. Taking advantage of modern technology means you notice it more when your office is lacking in electrical sockets and data ports. And dealing with it usually involves dangling extension leads, metres of unsightly network cabling, and ‘daisy chained’ power boards to get power and information where they’re needed. Bigger corporate offices tend to fare better here, being more aware of their employee headcount as well as delegating the fit-out project to more experienced agencies. SMBs, on the other hand, must commit to making power and data a priority in their commercial re-fit, installing more points as needed rather than settling for what’s already there. Treating these facilities as an afterthought is an outdated practice, contributing to fire hazards, trip hazards, and day-to-day inconveniences that entail collateral effects of their own. Comfortable congregation spots give staff a place to collaborate and socialise, offering them a break from their screens while building positive relationships in the workplace. We usually see these spaces lacking in smaller offices, where real estate is a premium, and common areas get passed over in favour of more desk space. That said, big companies also make this mistake when applying ‘profit per square meter’ principles without considering the impact on output quality and staff well-being, or if this philosophy is even appropriate for the nature of their business. Common areas should be factored into every office layout plan, with enough distance or points of difference from normal workstations to foster a change of pace. If you find yourself low on space, consider setting up dual-purpose meeting rooms, used for official meetings on demand but otherwise open to water cooler gatherings. The ‘lean’ and ‘minimalist’ office philosophies aim to simplify processes and improve business efficiency by eliminating the unnecessary. More often than not, this also shapes up as office environments lacking in features and decor that don’t serve a formal work-related purpose. However, a 2014 study published in Journal of Experimental Psychology: Applied suggests some lean offices may be going a step too far. The study findings showed higher levels of workplace productivity and satisfaction in offices that contained decorative plants. This aligns with a 2013 study that found reduced emotional exhaustion in workers who were permitted to personalise their workspaces. When striving for a productive environment, it pays to consider ‘quality of life’ factors in the everyday office. Based on what we know about environmental stress factors in the office environment, even tiny improvements on individual worker performance can add up to a significant positive impact over many employees over the course of a year. 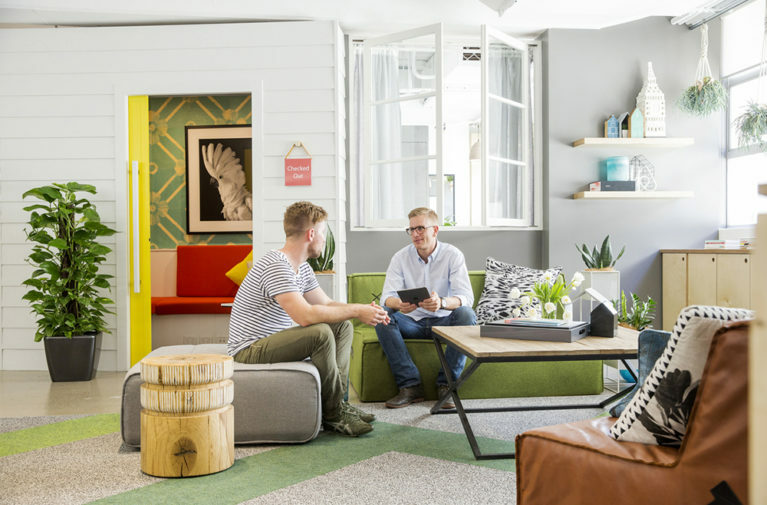 Today’s workforce is more diverse than ever before, presenting interesting challenges when designing workspaces suitable for a variety of individuals.